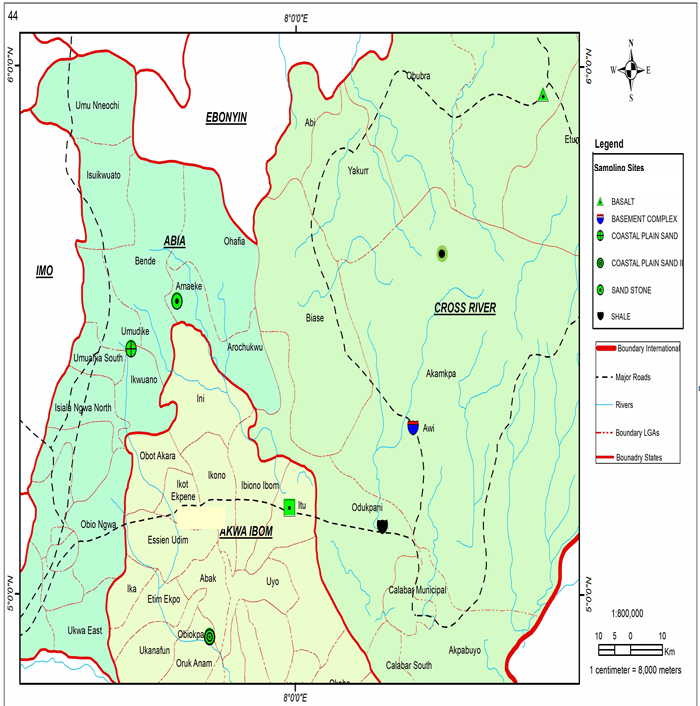 This study was conducted to asses Potassium leaching behavior of six (6) selected parent materials in Eastern Nigeria. The soils were formed from Shale, Coastal Plain Sand, Alluvium, Sandstone, Basement Complex and Basalt. A treatment solution containing O, 50, 100, 150 and 200mg/l of K prepared from KCl were added to 20g of soil samples in duplicated cups, the upper cup perforated, mixed thoroughly and allowed to dry. The cups were carefully covered and allowed to incubate for 1, 7, 30, 90 and 180 days, respectively. A total of 180 experimental units were generated and the treatment combinations were fitted into a Randomized Complete Block Design (RCBD), with 6 soil types representing the blocks for each of the incubation periods. The soil samples were kept moist with deionized water at weekly interval throughout the duration of incubation. At the set days, the concentrations of K in the leachate were measured using flame photometry. The K concentrations with days of incubation were plotted against rates of addition. The result shows that the leaching behavior of K in the parent materials varies under similar experimental conditions. Coastal Plain Sand, Sandstone and Basaltic Soil with high sand content exhibits highest amount of leaching compared to shale, alluvium and basement complex with high clay content. A higher K losses with high rates of K addition was observed and K decreased with time (days) of incubation. 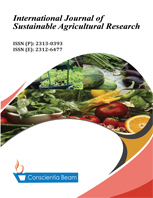 This study uses incubation methodology in assessing leaching potential of different soil types. This study is one of the very few studies which investigated leaching behaviour of soils of southeastern Nigeria. The paper’s primary contribution is the finding that soils with high sand content exhibits high K leaching than others. Extract of Elephant Foot Yam (EFY) is known to contain flavonoid that is an antioxidant compound and thus has the potential to be utilized as functional food in the form of beverages. Functional drinks made from plants are usually presented as healthy drinks, which in this case is in the form of syrup. This study aims to determine the antioxidant activity, pH value, viscosity and sensory properties of EFY extract syrup with different extract formulas and find out which of the formulated syrup produced is best based on its antioxidant activity and physical characteristics. The syrups produced were derived from 3 different types of formulas determined which were F1 (0.6% extract), F2 (2% extract) and F3 (4% extract). The parameters observed in this study were antioxidant activity, pH value, viscosity, and sensory properties of the syrup. The results obtained show that variations of the extract concentration in the formula have effects on the antioxidant activity, pH value, viscosity, aroma, and consumers’ preference of the syrup. The syrup formula with a concentration of 4% extract (F3) was found to have favorable properties as it has the highest antioxidant activity of 71.39 ppm; pH value of 4.97; and viscosity 0.265 c. In terms of consumer’s preference, the syrup with 0.6% extract (F1) is most preferably in color, flavor, and aroma. Thus EFY potentially as antioxidant source that can be added into the healthy drink in the form of syrup. This study is one of very few studies that have investigated the potency of a tropical tuber grown primarily in Southeast Asia namely Elephant Foot Yam (EFY) as a functional baverage in the form of syrup preparation.